This book broke me in more ways than any book has this year. My heart hurt through most of this book. I felt every single emotion that Carver felt. Jeff Zentner is an artist with words. He paints such a vivid picture of what grief can feel like like. Of what having anxiety feels like. I’ve never read a book that explains it so freaking well. 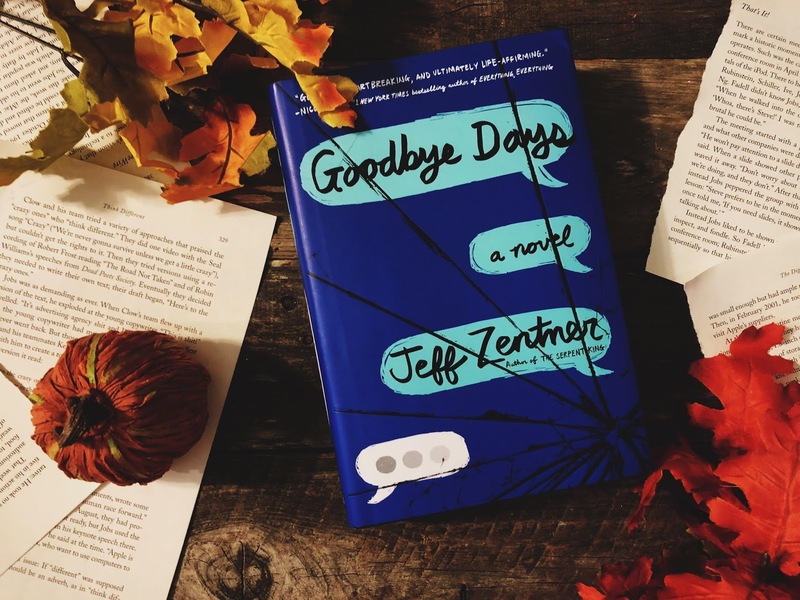 Jeff wrote a book about something that can happen any time during someone’s life. Death while using your phone while driving. This is a topic that’s not as talked about as it should be. This book really opens your eyes. Especially, from the person who sent that last text to the person who was killed in the accident. This book should be read by every single individual who uses their phone while driving. In Goodbye Days, Carver gets invited by Nana Betsy to have a goodbye day for Blake. I have never heard of this concept before but I’m totally planning one for the future. It seems like such a lovely way to say goodbye to a loved one. Thank you Jeff for introducing me to this. Also, Nana Betsy has so much love from me. She reminds me so much of my grandmother who passed. You get to see so much from this book. Dealing with guilt. Dealing with anxiety. Dealing with loss. This book is heavy. Prepare your heart for the heartbreak you’ll get from reading this book.